Bristol Sound & Vision Show 2018: news, highlights, best new products | What Hi-Fi? Forget CES in Las Vegas, IFA in Berlin, or the High End Show in Munich - the UK's most important showcase is open from Friday, February 23rd to Sunday 25th. Manufacturers from every continent have brought their best products to the Sound & Vision Show in Bristol, in association with Audio-T. You can find a round-up of all the big new launches below, plus a list of exhibitor highlights. Also, don't forget drop by the What Hi-Fi? stand to see our 4K HDR demo, which includes LG's W8 'wallpaper' OLED TV and a 7.2 surround system from Monitor Audio. 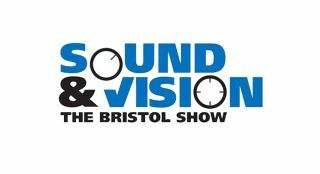 Now in its 31st year, the Bristol Sound & Vision Show is your best opportunity to see - and listen to - many of our five-star Award-winning products. Over 180 brands are in attendance, including Arcam, Bluesound, Bowers & WIlkins, Cyrus, Dali, KEF, Monitor Audio, Naim, Onkyo, Pioneer, PMC, Rega, Sennheiser, Sony and Wharfedale. The What Hi-Fi? team is on hand throughout the weekend, complete with a demo room that will dazzle you with some of the best kit you can buy right now. We're also running our famous Bristol Show competition, giving everyone who enters a chance to win a piece of kit from more than £10,000-worth of hi-fi products. Following its 100 Series, Acoustic Energy is launching the 300 Series of loudspeakers. Raising the bar with bespoke new drive units - the latest generation of the company's 130mm mid-bass drive unit that apparently improves dispersion, bass slam and power handling, plus an aluminium dome tweeter with better spread and reduced distortion - we're look forward to hearing it in action. Arcam will be showing off its new three-strong HDA range of hi-fi separates we recently spotted at CES. The new line-up features the CDS50 network streamer and CD player and SA10 and SA20 integrated amplifiers. Arcam will be partnering its electronics with Revel loudspeakers, including the Award-winning M16 standmounters, and you'll also be able to see Mark Levinson's first turntable, the No.515, in action. The first time it's been in the UK, Astell & Kern are bringing the new Acro L1000, launched at CES, to the show this year. A a desktop amplifier, headphone amp and DAC all in one, it can play hi-res audio files up to 32bit/384kHz without downsampling. The company is also bringing its portable line, including the What Hi-Fi? award-winning AK70 MKII. ATC's CDA2 Mk2 CD/DAC preamplifier (pictured above) is coming to the show this year. According to ATC, the Mk2 improves on the original with an upgraded CD transport and DAC board, expanded input choices and redesigned analogue circuits to provide a flat frequency response. It will be joined by the SCM11, one of our favourite pairs of standmounters and a product that has "won more What Hi-Fi? Awards than John McEnroe has Grand Slams". Sharing a stand with Astell & Kern, Audeze are showing its range of planar magnetic headphones, including the new LCD2 Classic – a redesigned version of the LCD2. They feature the “slightly warm sound signature” of the original LCD2 driver and come with a lightweight suspension headband, crystal-infused nylon rings and remodelled audio jacks. The latest of the company's HD Series wireless powered speakers will be at Bristol, with Audioengine taking the opportunity to launch the limited edition HD3 White. Audio Technica is bringing several new products to Bristol, some of which have never been seen in the UK. The ATH-ADX5000, its flagship reference open-back headphones, are hitting these shores for the first time, alongside the ATH-AR5BT and CKR line of Bluetooth headphones. Also taking their first steps into Europe are the ATH-ANC700BT QuietPoint and the ATH-DSR5BT, both of which we saw at CES 2018. Chord is showing a What Hi-Fi? Star of CES 2018, the Chord Qutest (pictured above) - it replaces the Qute2. It will be a part of a compact main system alongside the company's CPM3350 integrated amp - although Chord will also be showing off other products too, including the Hugo 2 and Mojo/Poly. Cyrus will be running a demonstration of its signature system partnered with a pair of KEF blades. It will also be showing its new OneLinear speakers, the will be the first UK outing for these bookshelf speakers, which will be shown off alongside the Cyrus One. Following the news that its streamers and Lyric systems now support Qobuz hi-res streaming, Cyrus will also be hosting Qobuz's Cécile Guermont at 4pm on Friday, Saturday and Sunday. Finally, you can try its ‘2018 Experience tour’, aimed at core enthusiasts. The title of the show this year is ‘Class D – the devil is in the detail’, and tickets will be available free of charge through the Cyrus website. Dynaudio will be showing off its Award-winning Special Forty standmounters, alongside its upcoming Music range of smart wireless speakers. It will also be demonstrating its revamped range of Xeo speakers. After a short hiatus, Eclipse is returning to Bristol with its latest flagships: the TD712zMK2 speaker and TD725SWMK2 subwoofer. The TD712zMK2 features a 12cm full-range fibreglass unit, housed in the company's trademark egg-shaped chassis. The subwoofer, meanwhile, has dual drive units driven at particualrly high speeds for low frequency audio. We look forward to seeing them in action. Following the recent launch of the Prestige Facet loudspeakers, Elipson will be showing off its new bookshelf Prestige Facet 6BT and floorstanding Facet 14BT speakers (pictured above). These both come with Chromecast Audio dongles in the box for wireless streaming, as well as aptX HD Bluetooth. The company's latest addition to its XM range, the XM HP DAC/headphone amp, will be making an appearance at the Bristol Show. With hi-res audio support, five digital inputs and twin sets of 6.3mm jacks and XLR sockets, this amp certainly appears impressive on paper. Fyne Audio will have its first public showing at Bristol, with its new loudspeaker ranges on display. The F300 entry level range (£180-£600 per pair) will be there, as well as models from the company's mid-price (£600-£1,600) F500 line up. And for the serious high-end enthusiast, Fyne's F1-10 speakers (£19,500 per pair) will be there too. You can't get enough of Gold Note at the show this year. The company will be exhibiting three turntables - (pictured above, from left to right), the Valore 425 Plus, the Pianosa, and the Mediterraneo, as well as the new PH-10 phono stage. The company is showing some limited-edition products, including the P3ESR speaker and its M40.2 brand flagship. Each speaker has the 'Harbeth 40th Anniversary limited edition' front and rear badges, as well as a metallic black and gold anniversary grille badge. What would Batman's favourite subwoofer be? Easy - the Gotham v2 from JL Audio. The company says it's a "devastating" piece of kit, delivering 4500W of power to twin 10cm drivers. The company will also be bringing the new Fathom IWS-SYS-108 and 208 in-wall subwoofers, as well as the IWSv2-SYS-113 and 213 models (if you'd prefer something a little more discreet). Fresh from its recent induction to the What Hi-Fi? Hall of Fame, KEF will be demonstrating its LS50 Wireless speakers (pictured above) - complete with Spotify Connect, Roon and Tidal integration. It was first launched in 1985, but has been out of production since 1996. Now, the Forte III - one of Klipsch's best-selling models - is back. While the broad aesthetic hasn't changed, the three-way design features a 12in woofer plus a horn-loaded midrange and tweeter with titanium compression drivers. This will be the first time that the speakers will have made their way to the UK, and are sure to attract attention at the Bristol Show. From Kudos comes the Titan 505, the latest addition to its flagship series. A prototype of this standmount loudspeaker will be partnered with Naim’s Uniti Nova all-in-one player at the show. Leema Acoustics' range will include its new Pulse IV amp/DAC as well as the Hydra II Anniversary Edition power amp. Musical Fidelity will be taking the M6 SDAC to Bristol this year, a DAC that's comfortable with hi-res audio files up to 32-bit/768kHz resolution as well as DSD 64/128. There are three coaxial and three optical ports, and even a USB slot too. Accompanying it is the M8 Encore 500, the bigger sibling of the M6 Encore 225 - features include an integrated CD player, 2TB of storage and 500W of power per channel. Finally, the Nu-Vista Vinyl will also be making an appearance - it's a phono stage with five inputs, each of which can be set for either moving magnet or moving coil cartridges. Optoma will be showing off its new 4K UHD laser projector – the UHZ65. A 4K UHD piece of kit with HDR support and a claimed 3000 lumens to show off the latest Blu-rays, it's the next step up from its Award-winning UHD65. Both the AVM30 range, which includes includes integrated amplifiers, CD players, and media players, will be at Bristol after launching in the UK last year. The twenty5 series will also be on show. As the set-up we have in our testing rooms, we can say it's well worth a listen. A new "all-in-one" turntable, called Juke Box E (pictured above), will be making its UK debut in Bristol this year. Containing a moving magnet phono stage, Bluetooth receiver, pre-amp and power amp all in one box, all you need is a pair of speakers to turn it into a complete hi-fi setup. Prices start at £370, while a combination of the turntable and Speaker Box 5 loudspeaker starts at £500. It'll also be showing off the Debut III S Audiophile, the first Debut model to feature an S-shaped tonearm and the the first to have a new, specially-designed Ortofon cartridge. This year, the company has two five-star winners taking centre stage. The first is the Concept 500 speaker, which for £4000 are absolultely superb speakers. The second is the M2 soundbase. At £300, it's fantastic value for money and a great way to improve your TV's sound. Quad's one-box hi-fi system, the Artera Solus, will be shown at Bristol. The all-in-one features a CD transport, DAC, preamplifier and power amplifier, as well as aptX Bluetooth. For those that want a little more connectivity, a version equipped with wifi will be released in the Autumn. Sennheiser is coming to the show armed with its HDV 820 headphone amplifier, featuring a ESS SABRE32 DAC capable of playing 32-bit/384kHZ hi-res files. The company is also demonstrating its IE 800 S in-ear and HD 660 S over-ear headphones too. Sonoro will present three all-in-one systems this year: the Stream, Relax and Meisterstück flagship model (pictured above). All of them support internet radio with Bluetooth and wi-fi built in, with the added bonus of Spotify Connect. This is the first time the range will be hitting UK shores. Fresh from their launch at CES 2018, Technics' SP-10R and SL-1000R turntables will be making their UK debuts at the show. You'll also be able to see other products in the Technics range, including the Ottova f all-in-one system. Townshend will be unveiling its new Enigma Preamplifier at The Bristol Show 2018. The new model will have six phono inputs and two XLRs, as well as a 3.5mm stereo socket on the front panel - as for outputs, there are two sets of Phono sockets and one pair of XLRs. From Wharfedale comes the DX-2 home cinema speaker package, but those looking for some smaller speakers might be interested in the DS-2 stereo Bluetooth speakers - successors to the DS-1s that received a What Hi-Fi? Award in 2015. It wouldn't be the Bristol Show without a What Hi-Fi? demo - and this year we're showcasing HDR, including Dolby Vision, in all its glory. We're going to be aided by a state-of-the-art surround sound system and fronted by LG's wafer-thin, W7 Wallpaper OLED TV. Needless to say, our review team will also be on hand to answer any of your hi-fi and home cinema queries. The company is taking a pair of Resolution loudspeakers, first seen at the Munich Show. Made from a carbon fibre composite and metal alloy, Wilson Benesch says the Resolution "exhibits one of the stiffest, highly damped and advanced enclosures in the industry". This will be the first time they have been shown at a British exhibition. Friday 23rd February to Sunday 25th February 2018. Open from 10am-5pm each day.